Cecil Simpson, a senior architect in the Office of Works in London, during a tour of inspection of inadequately housed legations in South America during the winter of 1923-4, visited Montevideo to look for a suitable residence to buy or lease. He could find neither but recommended the purchase instead of a site on which a house could be built, in an area that was under development adjacent to the Parque de los Aliados. He sought London’s urgent authority, since no option on the site was obtainable, to buy 3,400 square metres for not more than £10,000. His Director of Works, Frank Baines, minuted what all travellers are pleased to see on perusal of the file after returning from a trip, ‘We cannot do better than trust to Mr Simpson’s judgment in this matter …’: the purchase was approved. 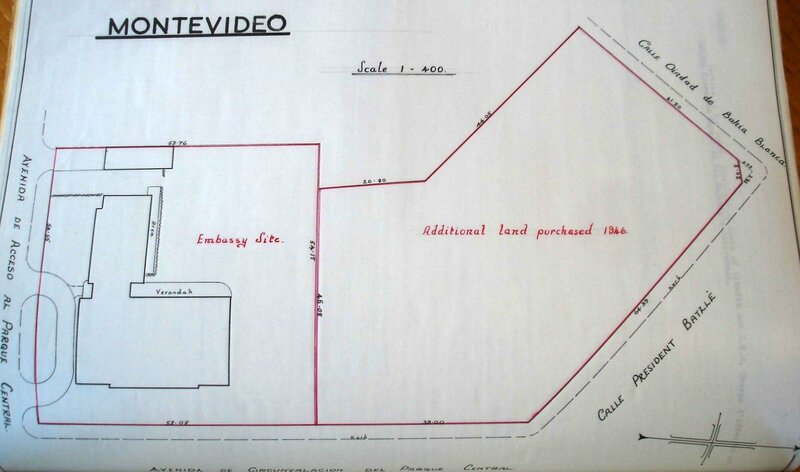 The site was lotted into seven sections, each owned by a different speculator, one of whom later refused to sell. But Simpson managed to buy the other six lots, comprising an almost square 2,850 square metres for about £9,000, and the deal was completed by the end of December 1923. Simpson enquired of Messrs. Adams Broad and Co., a local firm of British architects, whether they would be prepared to act as executive local architects for the house on the basis of sketch plans to be drawn up by the Office of Works in consultation with them. They would, for an acceptable 6%, and Simpson left with them a schedule of intended accommodation areas for their information. They jumped the gun, however, and sent to London their own sketch plan in February 1924. Its areas were 25% greater than Simpson’s schedule and London suggested changes. These did not much appeal to the minister, Claude Mallet, who suggested his own alterations, writing to the Secretary at the Office of Works, Lionel Earle, that ‘The entrance hall is not large enough. The form of entertainment most followed here are afternoon dances. ‘Halls’ are used for this purpose so as to avoid upsetting the drawing room by the removal of the furniture each time there is a dance. Space for dancing in the hall for at least 50 couples should be allowed.’ Earle evidently had some sympathy with this. Richard Allison, chief architect, had meanwhile minuted that ‘immediately I saw Messrs Adams Broad & Co’s idea as to the type of building they had in view I came to the conclusion that it would be useless to ask them to do any more work in connection with the designing of the facades. 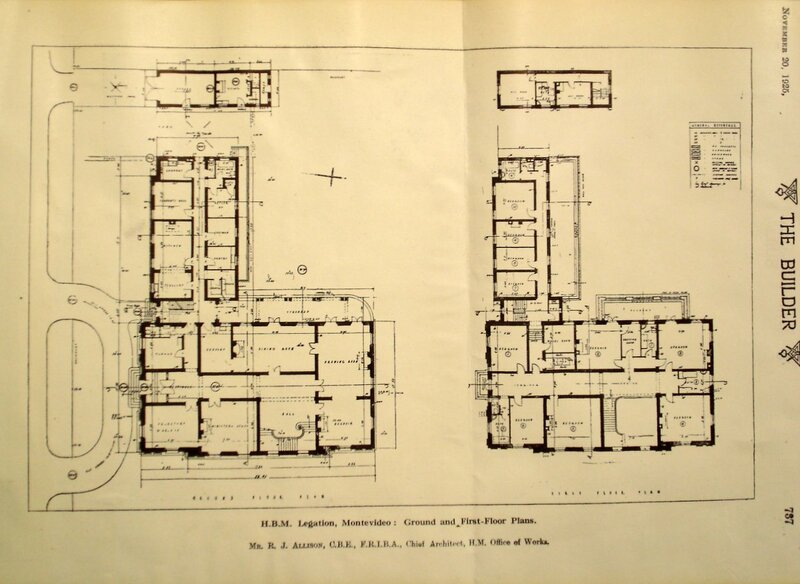 Their sketch, of course, was no doubt intended to be a preliminary effort but clearly their idea as to how an English Official house should be treated are so diametrically opposed to our own that I am convinced time would be wasted by arranging for them to modify their design on lines more acceptable to us’. He therefore handed responsibility for further design work to two of his in-house architects, FLW Cloux and Thrift Reavell, and kept his own eye firmly on the building’s appearance. Cloux and Reavell managed to push the hall area up from 500 to 660 square metres and the drawing room from 540 to 620 square metres. Allison minuted Baines in February 1925 “My proposals for the architectural treatment of this building are submitted herewith. From Mr Simpson’s report it seems clear that a stucco finish to the facades is more or less inevitable. There are no facing bricks fit for use and the common bricks are of inferior quality. 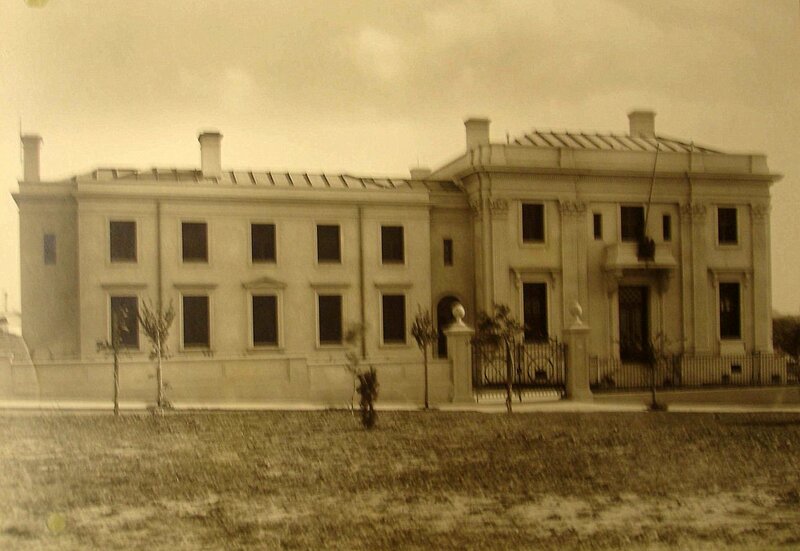 … The photographs of local buildings obtained by Mr Simpson indicate considerable variety in style but there appears to be a general tendency to Rococco treatment. 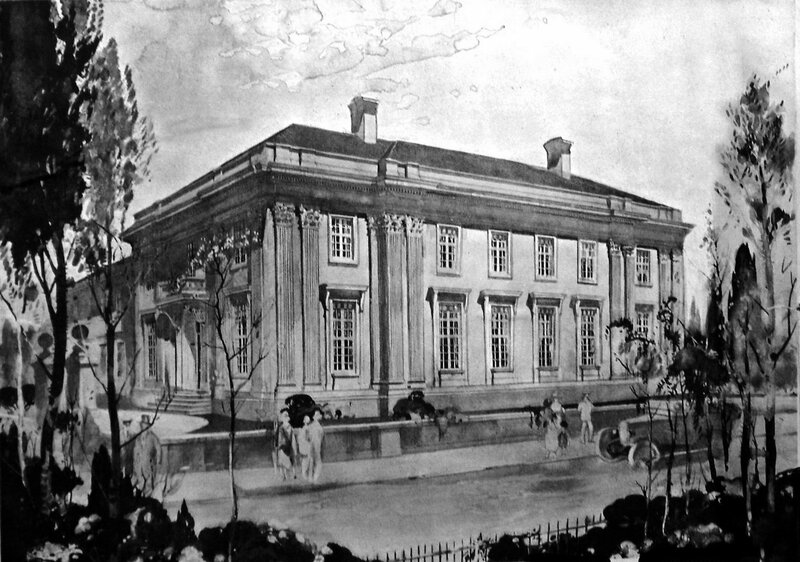 The aim in designing our new Legation has been to obtain dignity with a certain degree of richness particularly in the detail of the pilasters but avoiding the over-elaboration of the more important local buildings.’ Baines annotated to Earle ‘the design submitted by the CA is one of admirable dignity and simplicity’. The legation building contract (without a porte cochère) was signed in April 1926 and the house occupied on 7 December 1927. The final cost was about 5% in excess of the £33,000 approved estimate. 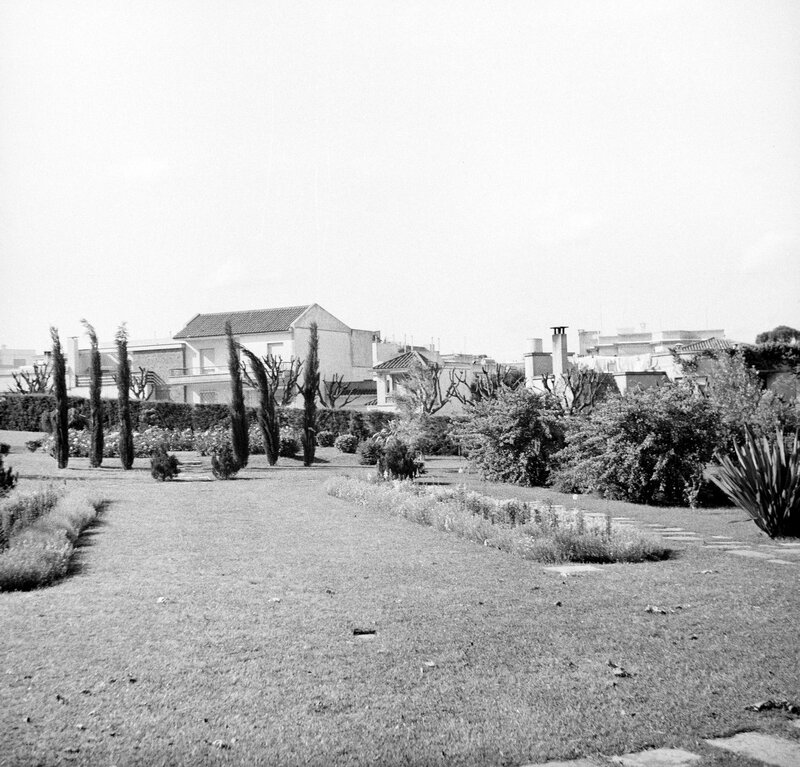 Viscount Davidson, who undertook a tour of Posts in 1943 as an adviser to government on commercial relations with South America, thought the house excellent in every way, though slightly under-furnished, and urged that vacant land at the rear be bought before development on it could damage the legation’s amenities. He was tickled that the British legation was now housed on George Canning Street, and the American Embassy on the opposite side of the Park Gardens in Lord Ponsonby Street. Davidson’s recommendation about the vacant land was acted upon in 1946 when about an acre was bought for £21,000, which more than doubled the size of the 1923 site. The status of the legation was raised to embassy in 1944. In late 1977, FCO inspectors recommended that the residence should be sold and a more ‘commercial and functional’ one purchased, or perhaps built in the garden. Neither this nor any subsequent radical idea for the future of the building has been seriously pursued. The legation proved too far from the city centre for the chancery offices, once they became busier during the second World War, and more of them moved out of the mission house into leased office space in the city. 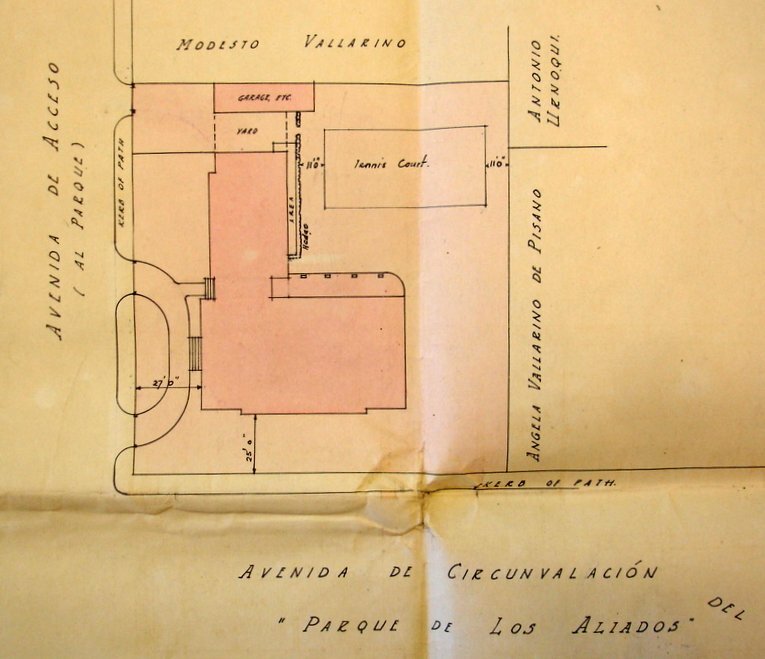 In 1924, the offices were in 1282 Calle Treinta y Tres. 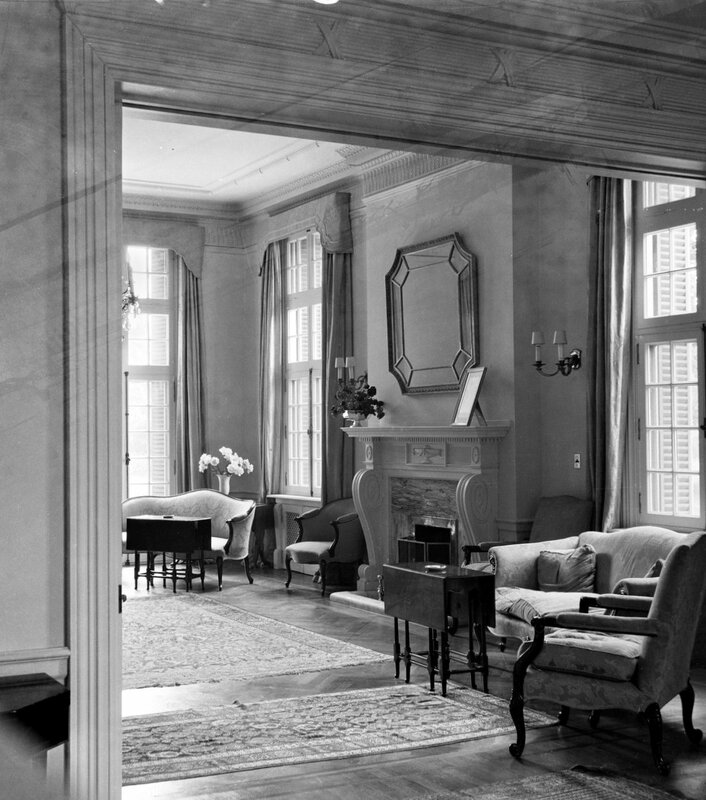 In 1943, when Davidson visited, there were two out-housed sections. In 1964, they were all brought together when the 7th floor of the Bank of London and South America Building was bought. They moved again ten years later, after a large house at 1073 Calle Marco Bruto, Pocitos, had been bought and converted. 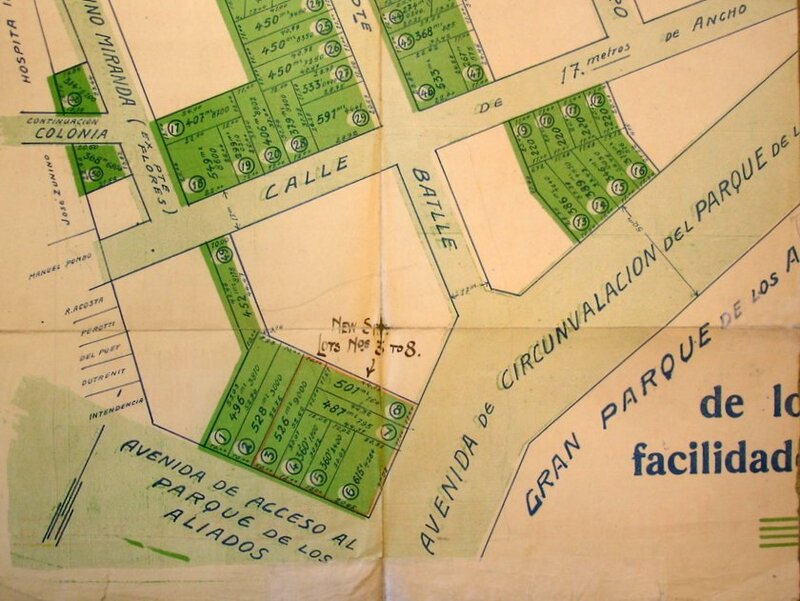 Identification plan of site bought, 1923. Front elevation of discarded proposal by Adams Broad, 1924. Perspective of proposal (exhibited at Royal Academy), 1925. 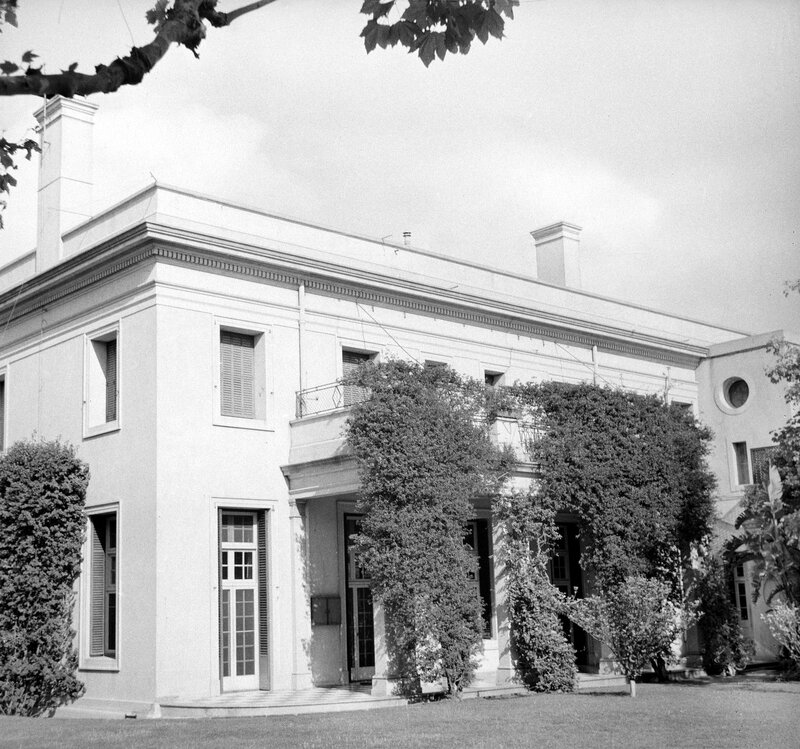 Garden front, from north-west, 1953. Creating the garden on the extra land, 1953.